Below is an #infographic about how a multi-threaded application in general behaves, including text balloons with suggestions about where to look for improvements. 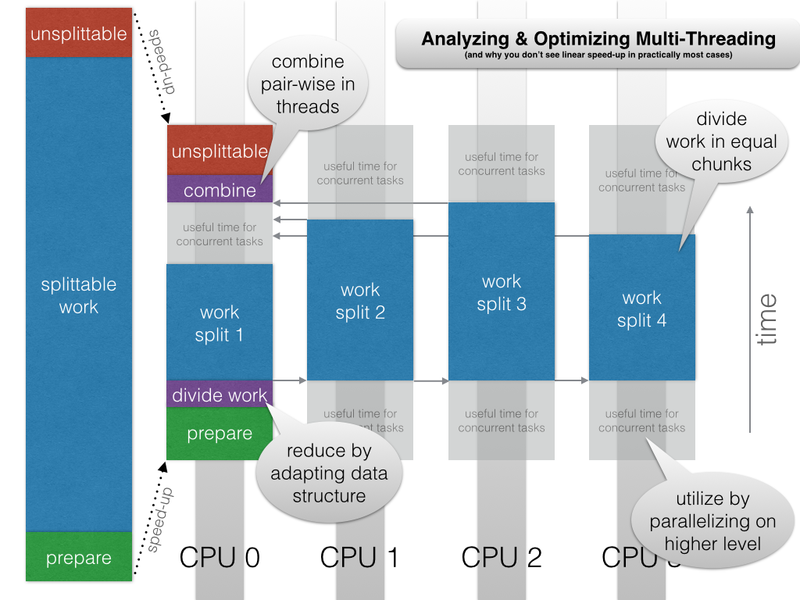 I created it because I wanted to explain to a colleague what I did to improve Lucene’s faceting performance using 16 CPU cores. I hope it speaks for itself. Dit bericht werd geplaatst in english, techniek, visie en getagged infographic, Lucene door Erik J. Groeneveld . Bookmark de permalink .